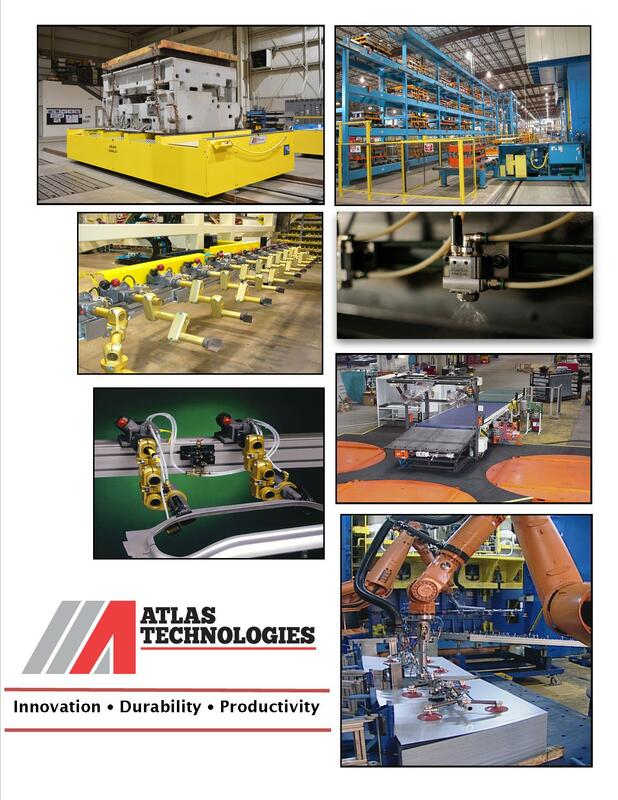 June 21, 2018 – Atlas Technologies has been commissioned to design and build a Front of Line Automatic Destack Feeder for a prominent Tier 1 automotive supplier in North America. The Blank Destack Feeder is configured to pair with an existing Atlas FLEX In-Press Transfer system located in a Thai Summit facility, in Bardstown, Kentucky. Installation of the Destack Feeder is on schedule for third quarter of 2018. This destack feeder is designed to provide continuous “no interruption” flow of steel or aluminum blanks to the press. It is equipped with crane saver conveyors, lift table and continuous destacking carriage, allowing Thai Summit to achieve greater production rates without a pause in press actuation. In addition, the incorporation of unique fanner technology is the key to processing multiple materials while maintaining positive part quality during processing. “Atlas Technologies is proud to support Thai Summit in this product improvement project and it is our sincere desire to continue this relationship through a successful installation and results oriented outcome.